Did you know February is Library Lover’s Month is some regions? 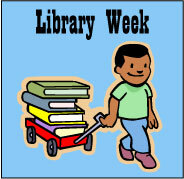 To honor the importance of libraries, we are holding Library Week here at Wrapped in Foil. Look for a series of posts about big libraries, little libraries and libraries with four legs. Find out about some unique and special ways people are distributing books to their communities, protecting libraries, and promoting literacy around the world. What better way to honor libraries than with books? Let’s start out with My Librarian Is a Camel: How Books Are Brought to Children Around the World by Margriet Ruurs, which lives up to its intriguing name by revealing ways people find to distribute books to children in remote areas of countries from Australia to Zimbabwe. You may be familiar with bookmobiles, but would you believe libraries that share books by wheelbarrow, libraries by boat, by bicycle, by elephant and yes, even by camel? Ruurs has collected the stories over the years, and gives them a personal touch by corresponding with the librarians who have found surprising ways to supply books to their clients in the most remote locales. In fact, the color photographs scattered throughout the book were taken by the local librarians documenting their exceptional libraries. In addition to teaching children about libraries, My Librarian Is a Camel could also be used to accompany a unit on geography. There is a map of the world with all the countries from the book labeled, as well as smaller maps for each country in sidebars with the country’s map, capital, population and official language. Hands Around the Library: Protecting Egypt’s Treasured Books by Susan L. Roth, Karen Leggett Abouraya and illustrated with collages by Susan L. Roth would also be useful to accompany a geography/history lesson, and much more. Based on events that occurred in January 2011 during the nationwide protests in Egypt, this book reveals a spontaneous demonstration of support for the Alexandria Library. As crowds of protesters streamed by the library, some people were concerned there might be looting or worse. Instead, some of the protesters broke away, joined hands, and formed a human chain around the library to protect it. To them, the contents of the library represented freedom, a freedom that deserved protection. In addition to the collage illustrations, the book contains a two-page spread of photographs of the library, the protesters, and the human chain. The notes in the back explains how author/illustrator Susan Roth has a personal connection with Egypt through a friend and had visited the library prior to 2011. She also facilitated a Skype sessions between students in the U.S. and Egypt (see more at the website). In the back matter she explains the connection of the new library to the ancient Great Library of Alexandria, which was burned down in 400 CE. She is obviously very passionate about this. Although the suggested age range for the book is 3-5 years old, I would say this book would work best with early elementary, especially if you extend it using the back matter and educational activities from the accompanying website (link below). Hands Around the Library: Protecting Egypt’s Treasured Books is a great way to start conversations about libraries, but also many other topics as well. Delve into it today! Hands Around the Library educational activity page has an extensive list of original news stories from the 2011 revolution in Egypt, suggested questions for discussions, and eight project ideas to extend the book, including making a collage about your own library. Disclosures: These books were from my local public library. I am an affiliate with Amazon so I can provide you with cover images and links to more information about books and products. As you probably are aware, if you click through the highlighted title link and purchase a product, I will receive a very small commission, at not extra cost to you. Any proceeds help defray the costs of hosting and maintaining this website. Previous PostPrevious Cybils Winners Announced Today!